'Overwatch' will give a special Winston skin for Blizzcon attendees [Image Credit: ohnickel/YouTube]. “Overwatch” has a surprise for fans who will attend Blizzcon 2017. Aside from the giant loot box that will surely contain a plethora of surprises, fans present during Blizzard’s annual event will get their own Winston skin specially designed for this year’s event. Those who purchase the goodie bag will also get the event-themed skin of the Gorilla scientist. It's just one more reason that fans should want to attend the event, which is going to be full of surprises for "Overwatch" players. On the “Overwatch” announcement of this year’s Halloween Terror Event, Blizzard revealed the new specially-designed Winston skin. The site reveals the new skin with the statement saying that Winston has journey using his trusty jump pack from Gibraltar to Anaheim, California for BlizzCon 2017. According to the game developer, the Gorilla scientist is equipped with a special souvenir to mark the occasion. Starting October 10, the new Winston skin is available in-game for all Virtual Ticket holders of Blizzcon 2017. The new skin will be a part of the BlizzCon exclusive two-seater mounts for “World of Warcraft” revealed in September. Both are included in the game developer’s digital goodie bag, which is now available. Fans should look forward to more details about the in-game loot that will be announced anytime soon. As for the Virtual Ticket, fans can now purchase it for $40. The goodie bag, packed with many loots is sold separately for $45. For Virtual Ticket holders, the goodie bag will be available at a discounted price of $35. 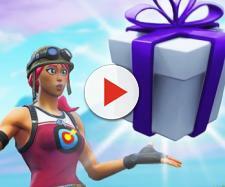 For those who would like to purchase an upgraded goodie bag, it is available for $70, which contains a double amount of loot. Meanwhile, the much-awaited Halloween Terror event this year is live starting October 10. The game is bringing back the Player-versus-Environment event from last year now dubbed as Junkenstein’s Revenge: Endless Night. The event is a new addition to the game’s Arcade. Players will need to survive the series of attacks from enemies and bosses. There are four heroes that players can use in the game. They can either play as Zenyatta, Torbjorn, Widowmaker, or Genji. The special event also introduces new event-themed skins. This includes Corsair Ana, Cultist Zenyatta, and Dracula Reaper. Jiangshi Mei, Dragon Symmetra, and Van Helsing McCree are also available. In addition to the skins and Junkenstein’s Revenge, Blizzard also introduces a couple of spooky maps. Players can explore the Spooky Eichenwalde and Hollywood maps. Both maps are decorated with Halloween goodies with a terrifying feel. The “Overwatch” Halloween Terror event starts on October 10. The event will run until November 1. You can check out the teaser of this year’s Halloween Terror event below.